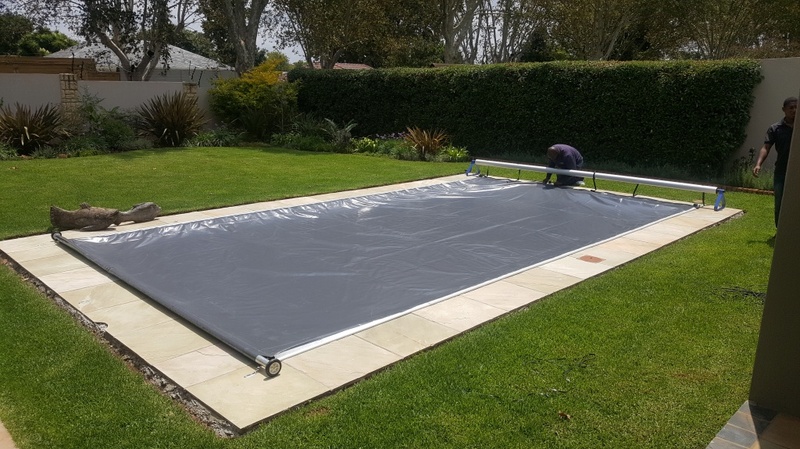 Covers are made from reinforced, 1st grade pvc, 600g p.s.m. 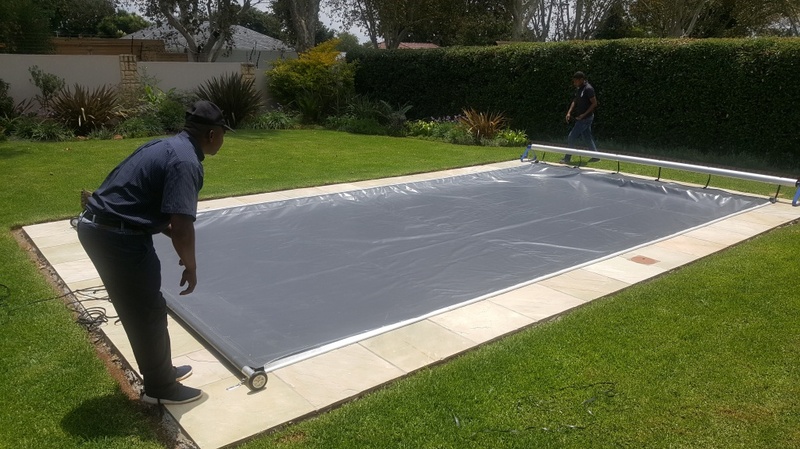 Covers are hemmed all around the perimeter with high frequency heating – no glue-on patches that will come undone after a year; no stitching that will perforate your cover. 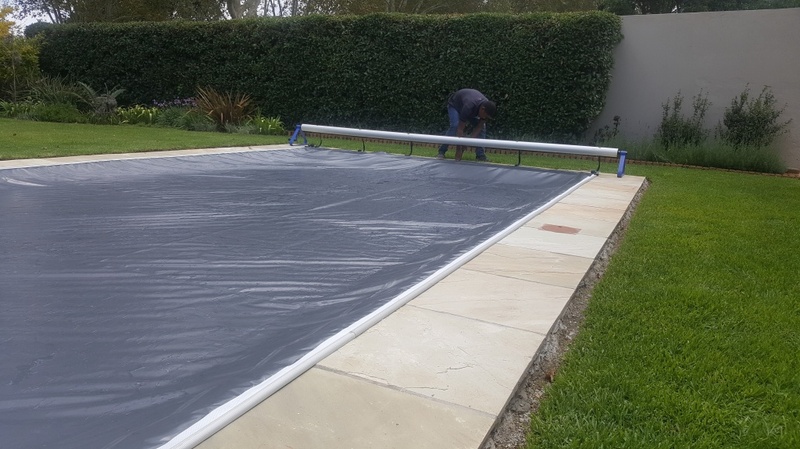 The area where the eyelet is punched through has 3 layers of material to strengthen it. 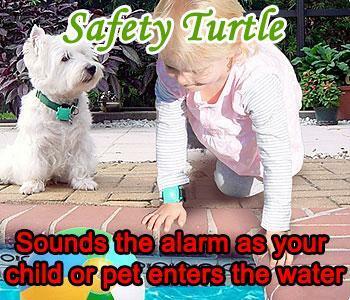 The cover is a safety device – a child cannot remove the hooks, they cannot crawl in underneath the cover and they can walk or crawl on top of cover. 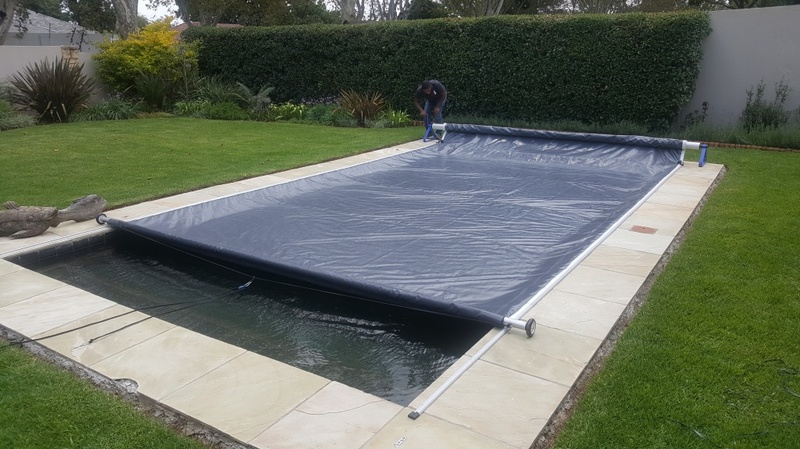 The cover can carry weight of approximately 150kg. 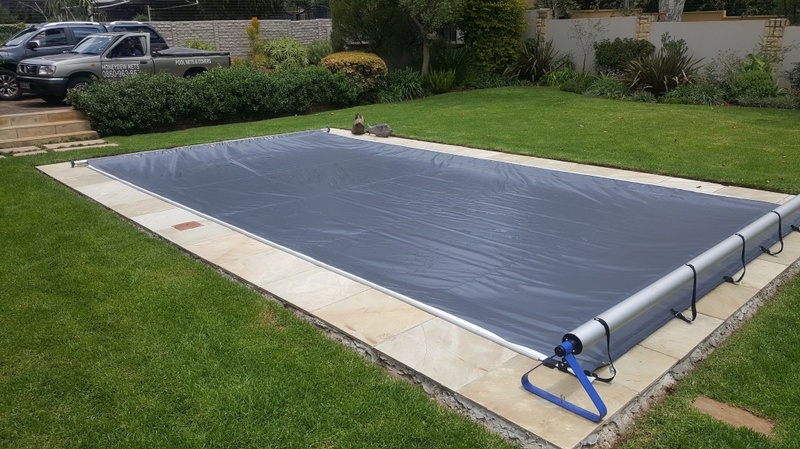 Each cover is supplied with a manual rainwater drainage system free of charge. 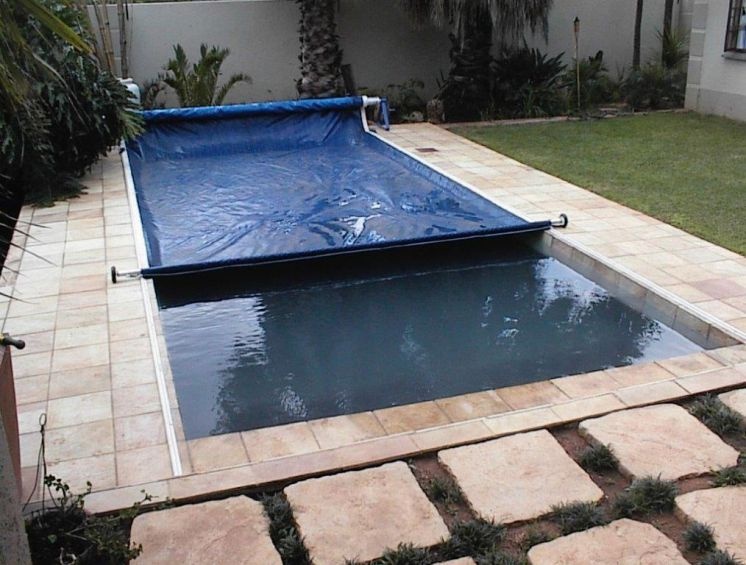 Automatic pumps also available to remove rainwater. 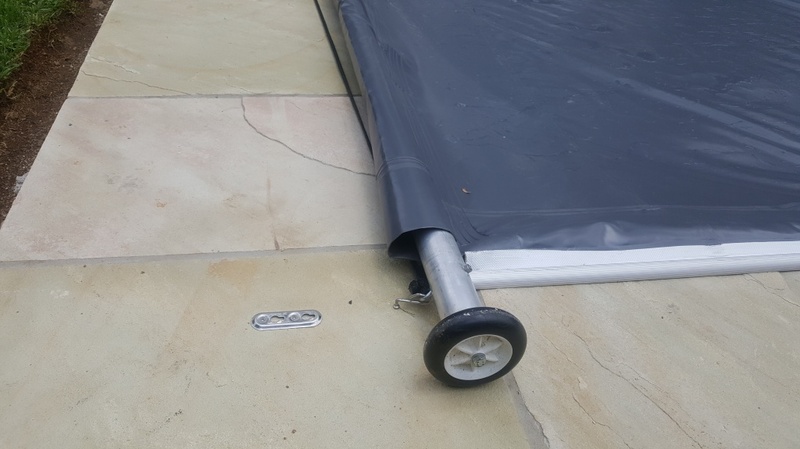 The anchoring plate is stainless steel, not plastic; - it will never break or become brittle in the sun. 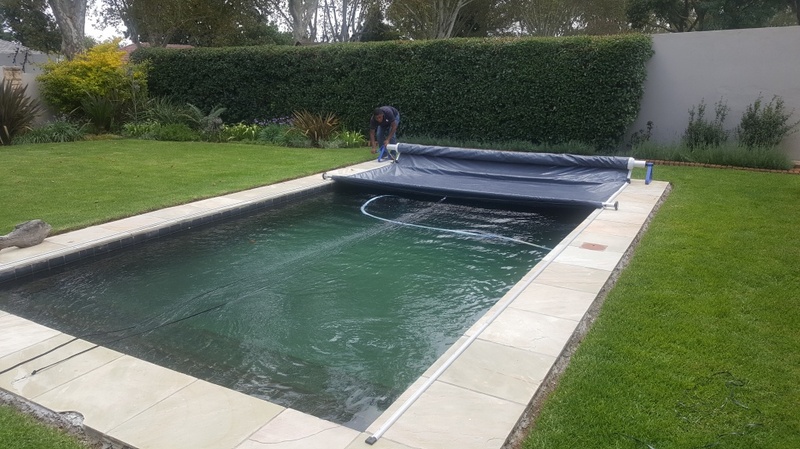 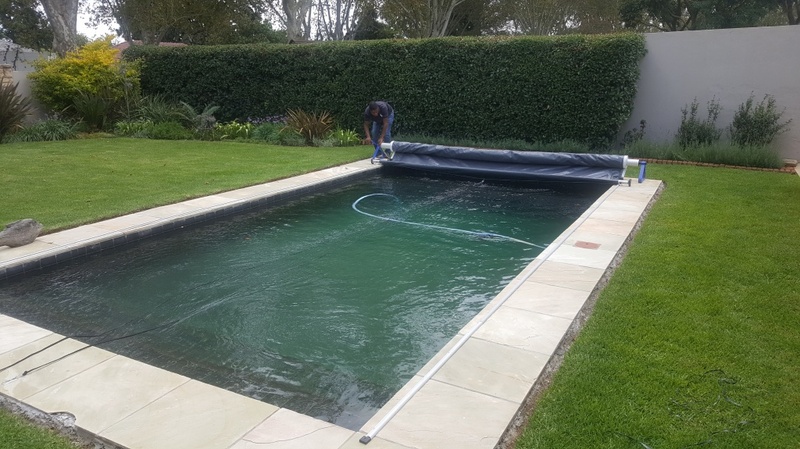 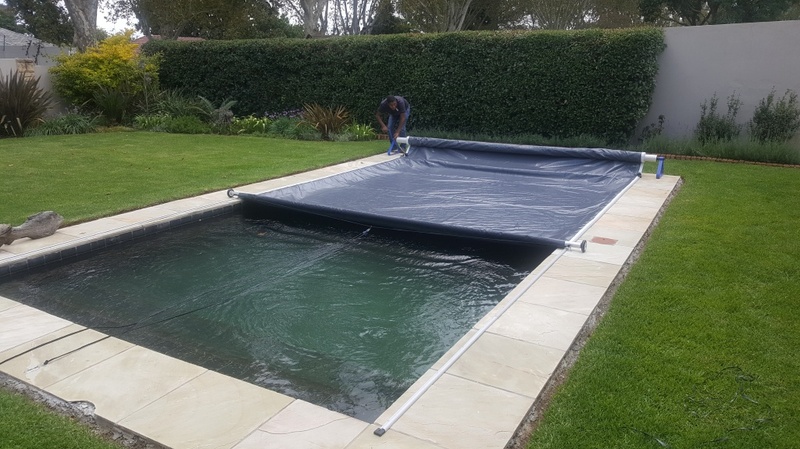 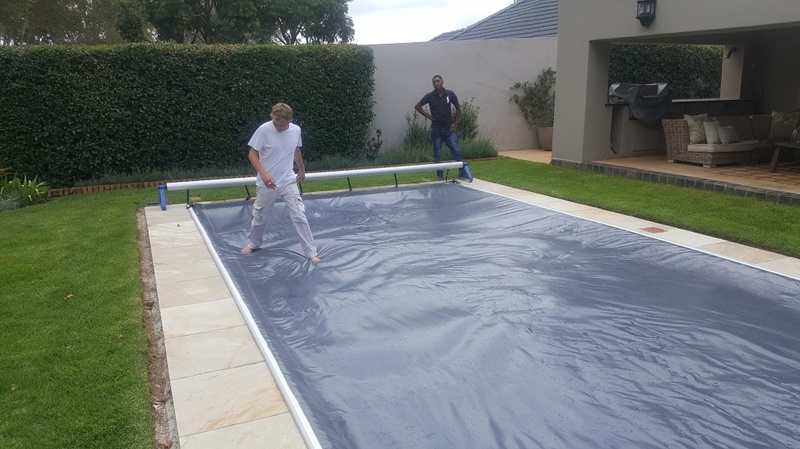 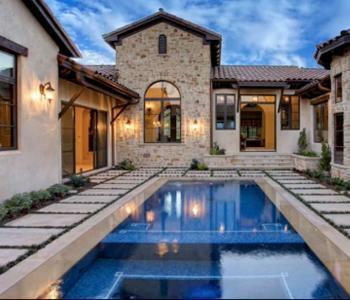 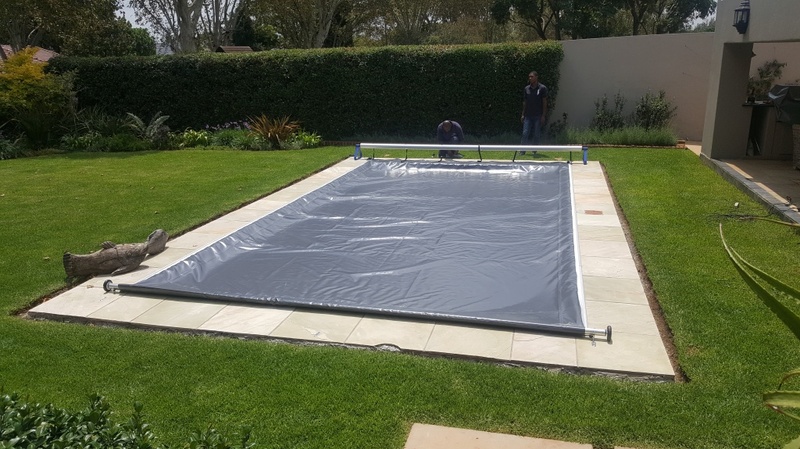 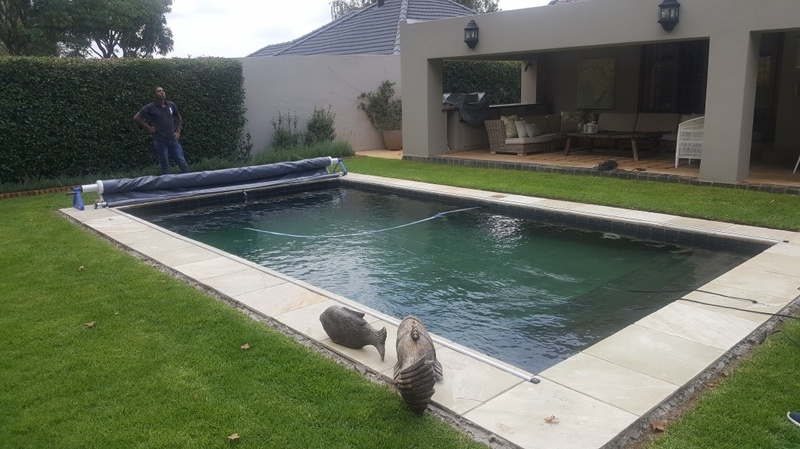 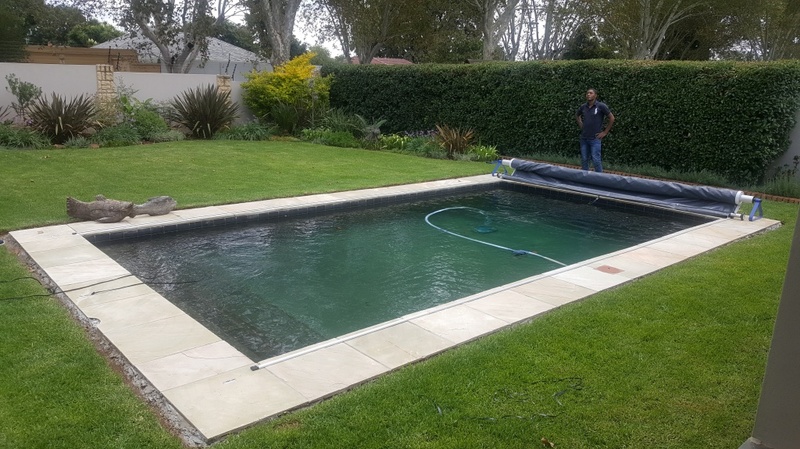 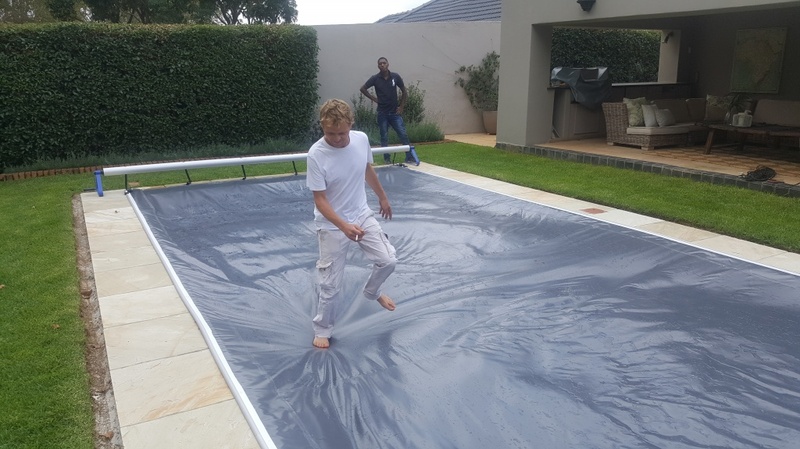 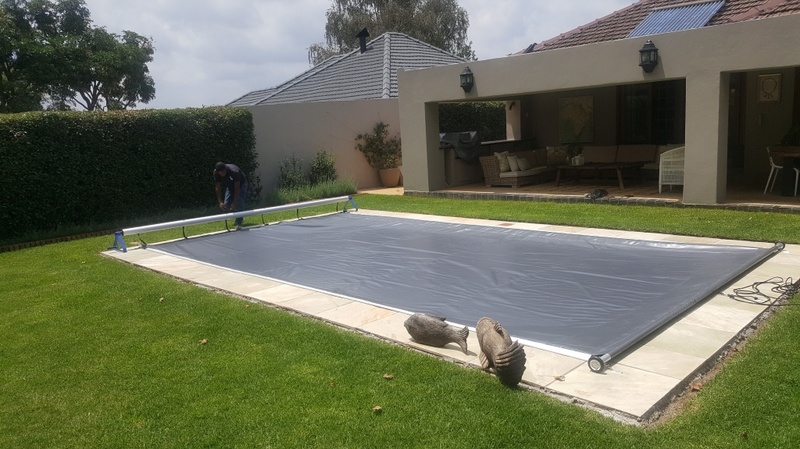 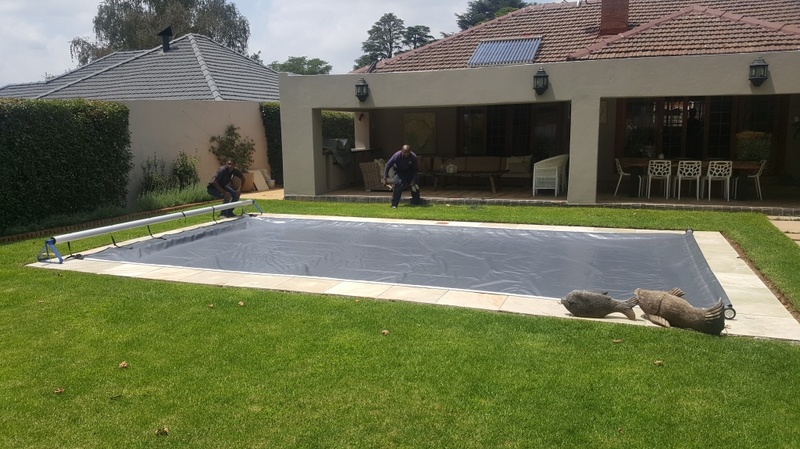 The cover increases water temperature, eliminates evaporation, stops algae forming, keeps dirt & debris out of pool and saves on chemicals. 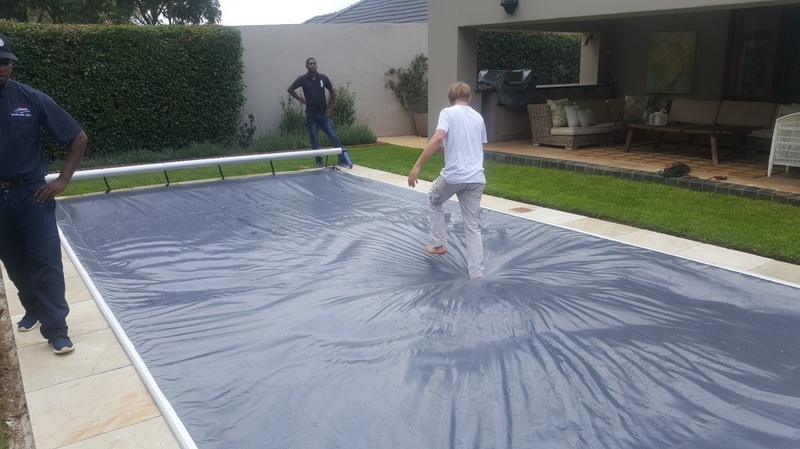 3 Year no nonsense guarantee.